After his sold-out performance in December, Phil Coulter will return to Westport Town Hall Theatre to perform his hit show 'Pure Gold' on Saturday, July 21st at 8pm. 'Pure Gold' was how a U.S. 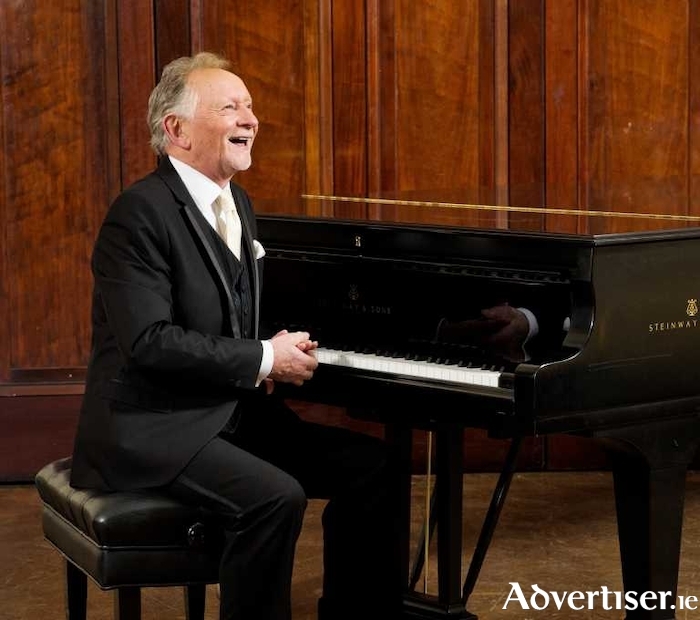 Critic described Phil Coulter's show and the monkier struck a chord with the man himself. “It seemed to tick a lot of boxes” said Phil, so he hi-jacked the title for his new show and album. Phil’s long career as a songwriter, producer and recording artiste has been recognised over the years with so many gold discs that the theme is totally appropriate. The Derryman is one of Ireland’s most successful musicians, songwriters and record producers. He has written some of the great Irish songs of his generation, including "Scorn Not His Simplicity", "Steal Away", "Tranquility" and "The Town I Loved So Well". 'Pure Gold' features Phil’s personal favorites as he trawls through his 50 years of creativity. As he says himself: "It is a different and interesting collection – some of the big hits alongside some that I thought should have been hits! Some songs that meant a lot to my bank manager as well as some that simply meant a lot to me." Phil is also joined on stage by his wife Geraldine Branagan, a gifted performer in her own right who has been thrilling audiences in recent years from Carnegie Hall to the National Concert Hall. When Geraldine joined him on stage in Westport back in December, she expressed a particular love for the town and declared that she wanted to return during the summer and further enjoy the unique atmosphere that Westport is famous for. 'Pure Gold' continues to tour the country extensively north and south, and boasts an original retrospective on the work of one of our finest It’s an absolute must-see show for every lover of good music. Tickets available on www.westporttheatre.com or call (098 ) 28459.